Happy Thanksgiving!!! How wonderful it is to have an entire day dedicated to gratitude. The apple crisp pizza recipe was yummy, but it doesn’t feed much of a crowd. 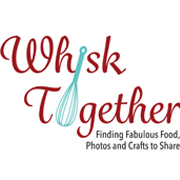 If you want to bring it to a potluck or large get together with 15 or more people, then this method might be the way to go for you. It was still delicious – just more of it! 1. Preheat oven to 350 degrees. 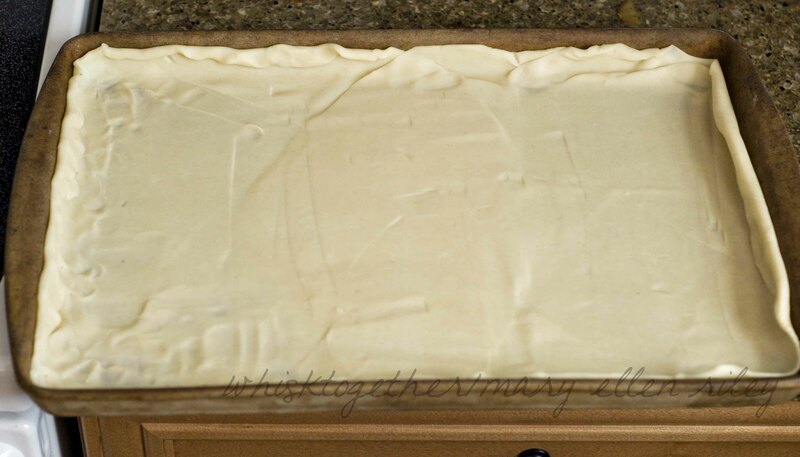 First, I rolled the pie crust into my jelly roll pan, also called the Pampered Chef’s large bar pan. 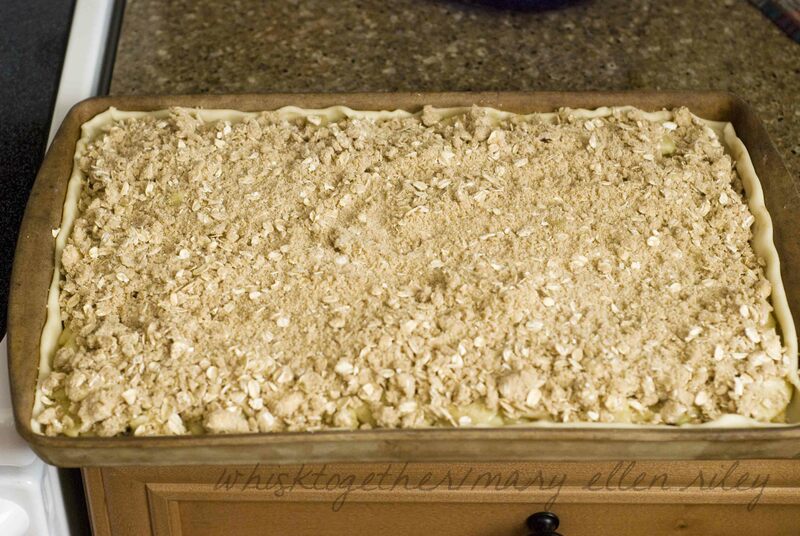 Any jelly roll pan or cookie sheet with a lip will work. 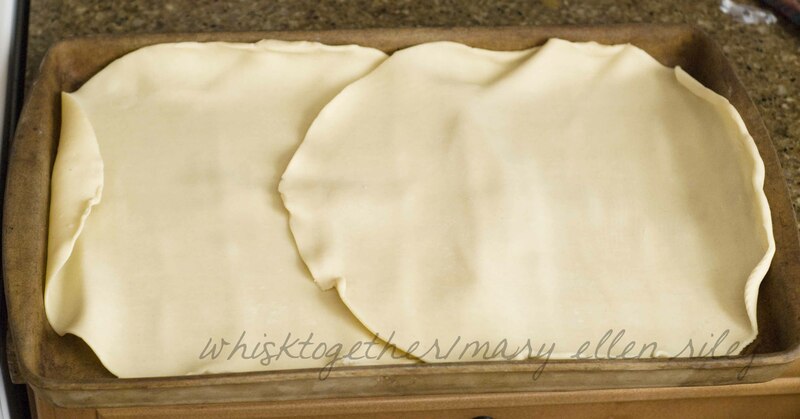 My large bar pan is a typical jelly roll size – 15.5″x10″. 2. 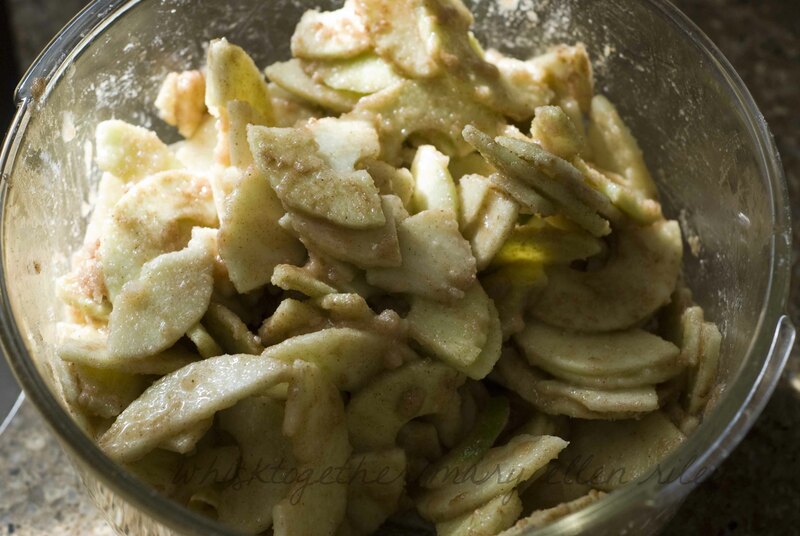 In a great big bowl, mix the sugar, flour, cinnamon and apples. Set aside. If you are worried about browning like I am, throw in a tablespoon of lemon juice. 3. 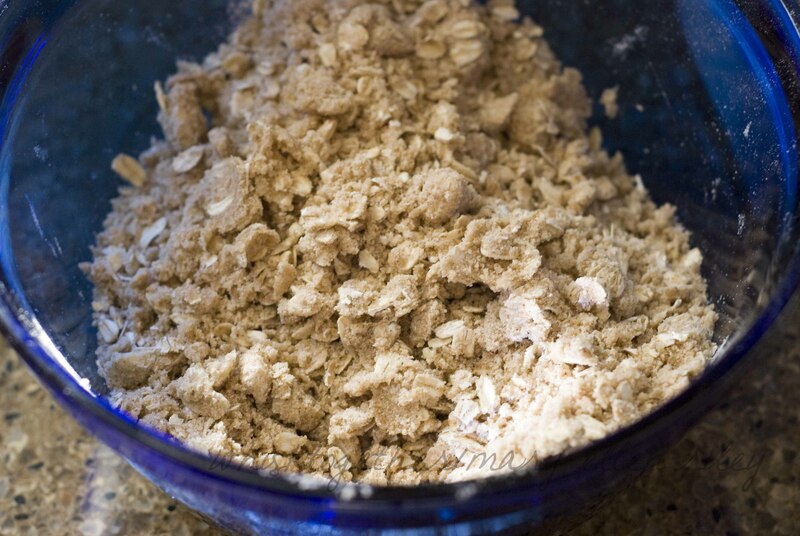 In a medium bowl, mix up the flour, brown sugar, oats, and cinnamon. 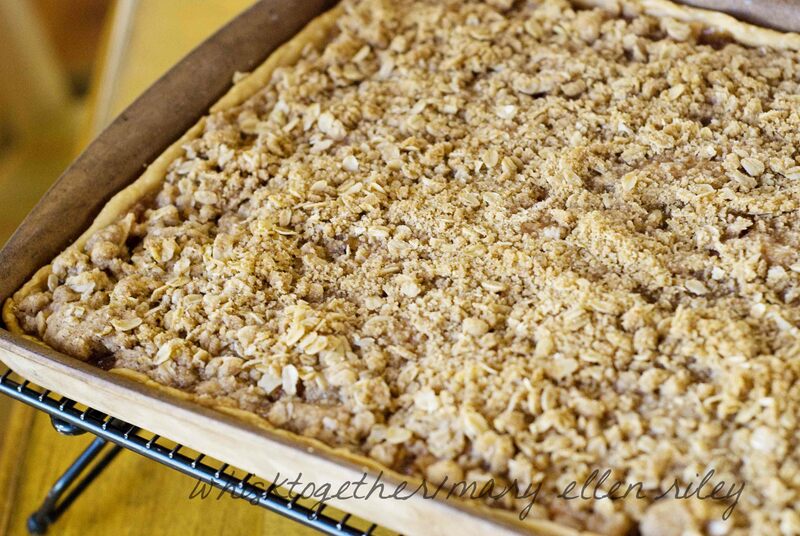 Cut the butter in with a pastry cutter or your fingers to form coarse crumbs. 4. 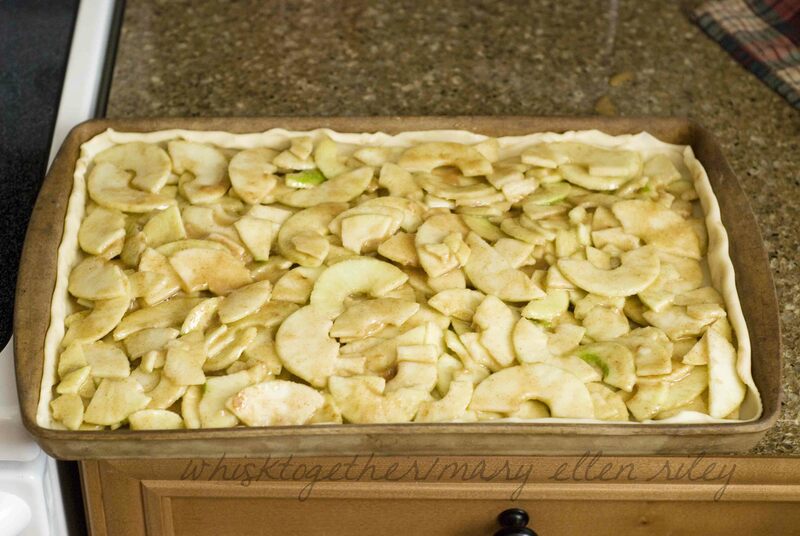 Pile the apples onto the pie crust. Sprinkle the topping on and bake 40-45 minutes. The edge will be done. I baked this on a baking stone, so I took it out a little early because I knew the stone would retain the heat and continue to cook. Cook until the center is done and the edges are crispy. Keep an eye on it after 40 minutes, it may take up to 50 minutes. 5. Drizzle with caramel if you like.